With the latest change in Sitecore Installation brought in by Sitecore, using Sitecore Install Framework (SIF), we as developers need to get some things in place so that the SIF install can continue. We call these things to be set in place prior to the main installation as Pre-Requisites. So lets get started with them so that we can proceed with installing Sitecore 9. First and Foremost, Sitecore 9 can be installed only on Windows 8.1 or Windows 10. So in case you are still on Windows 8 or Windows 7 for that matter, its time for an operating system upgrade. Next, The Web Server on which Sitecore 9 can be installed, is IIS 8.5 or IIS 10. Again, if you have Windows 8.1 or above this shouldn’t be a problem. 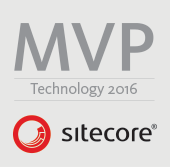 Sitecore 9 requires Microsoft SQL Server 2016 SP1. Why? Because with Sitecore 9 – Sitecore doesn’t have the dependency on Mongo for the Experience Databases as they can now be installed on SQL Server and for that reason, we need SQL Server 2016 SP1. Next, I am sure we will need Visual Studio installed on our Dev machines. We need to make sure that the Visual Studio installed is 2015 or higher. [Update August 7th 2018] Also, One of my colleague faced a problem after even having Visual Studio 2017 installed on my machine. I was unable to see .Net Framework 4.6.2 in my Visual Studio 2017 in the dropdown to select the Framework version for my Web project. In case you face the same, make sure to install the .NET Framework 4.6.2 Developer Pack – For more details, check this link. Now, open the Web Platform installer and search for WebAdministration Module. Basically, this gets installed when we install IIS, so we should be good. But always good to check. Next, Search for Web Deploy 3.6 for Hosting Servers in Web Platform Installer, and install it. Sometimes, even after installation, the Web Platform installer says that the Web Deploy 3.6 for Hosting Servers is not installed and the “Install” button is enabled. In this case, go and clear the Web Platform Installer cache and if required, restart your machine. Now, install URL Rewrite 2.1 using the same Web Platform Installer. Now, Sitecore 9 requires Solr 6.6.2 and that too on SSL – check the Solr compatibility Table – so lets install Solr 6.6.2 as a Windows Service first and next, lets get it on SSL either by following the Apache link to Enable SSL or using Kamsar’s link to Quickly add SSL to Solr.